Quick overview Examines religions across the world, offering an insight into each tradition's views of the world, through their scriptural texts and spiritual practices. This book presents an overview of the meaning and guidance that people find in their religion through these sacred wisdoms. It is suitable for those studying religion. This book examines religions across the world, offering an insight into each tradition's views of the world, through their scriptural texts and spiritual practices. As we increasingly move toward a global world view, it is important that we understand the traditions of other members of the global community. 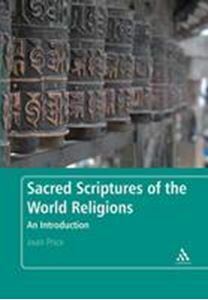 "Sacred Scriptures of the World Religions" examines religions across the world, offering an insight into each tradition's views of the world, through their scriptural texts and spiritual practices. By taking this perspective, the author has produced an indispensable introductory textbook which provides students with an overview of the meaning and guidance that people find in their religion through these sacred wisdoms. Each chapter provides introductory explanations of key issues to provide undergraduate religion students with a unique sense of each faith, followed by illustrative scriptural passages. "Sacred Scriptures of the World Religions" is essential reading for those studying religion, honoring both the richness and universality of religious truths contained in the world's great scriptures.